36 inch Silver chain necklace with intermittant 12 mm pearls and creative cross in circle. 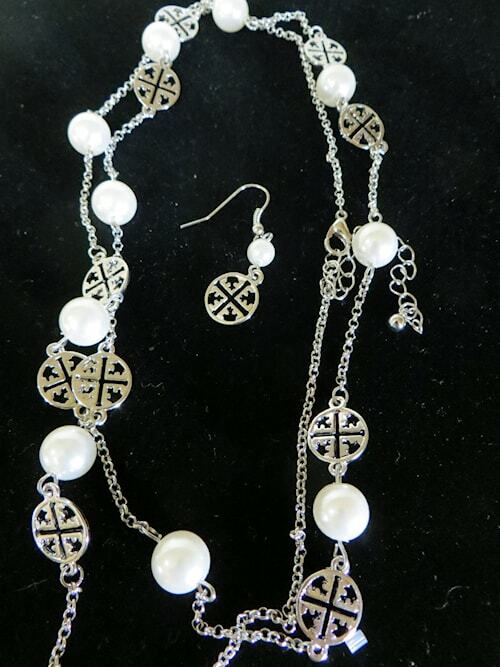 Beautiful alone, could be doubled around the neck or layered with other silver or pearl jewelry. Dangle ear rings for pierced ears are included. Designed in New York; Made in China.